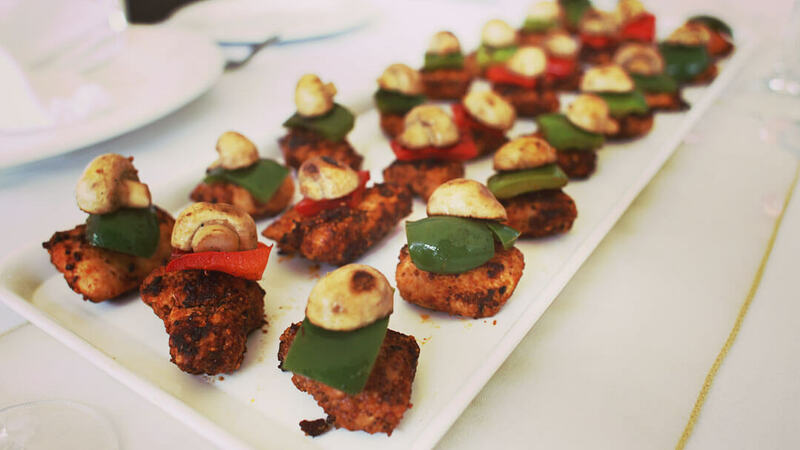 Looking for a cooking team building activity close to the office and in your own garden? Enjoy great food and wine in your city botanical gardens! Our clients cant stop talking about our MasterChef programs. This is a role driven program, where the teams select their own roles in the kitchen, from executive chef, cook, prep team, napkin artist, right through to the ‘executive’ kitchen hand. Just like a commercial kitchen, the teams design their own menu, and after a quick knife demo, they are given limited time to chop, slice, dice, peel, cut and prepare their ingredients before we take their knives away. Good time management will ensure the teams work closely together in the allotted time, before they are given only 30 minutes to cook their dishes, breakdown their work bench, and reset their fine dining table! 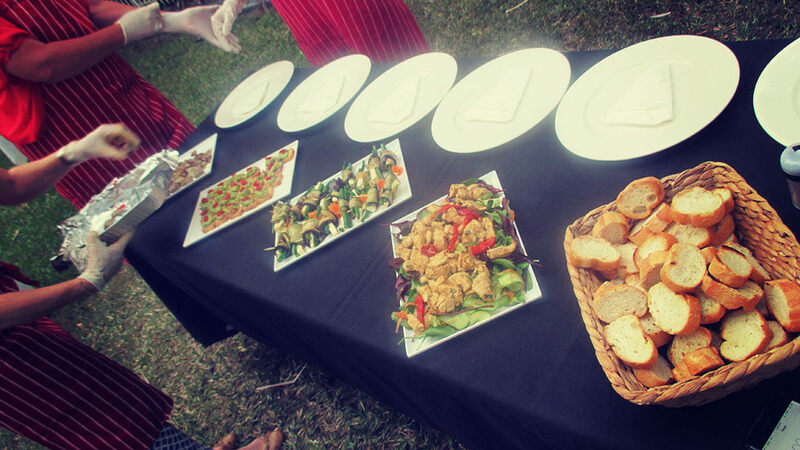 Its cheers all-round, as the teams sit, relax, and dine – marveling in the gourmet delights they have created. 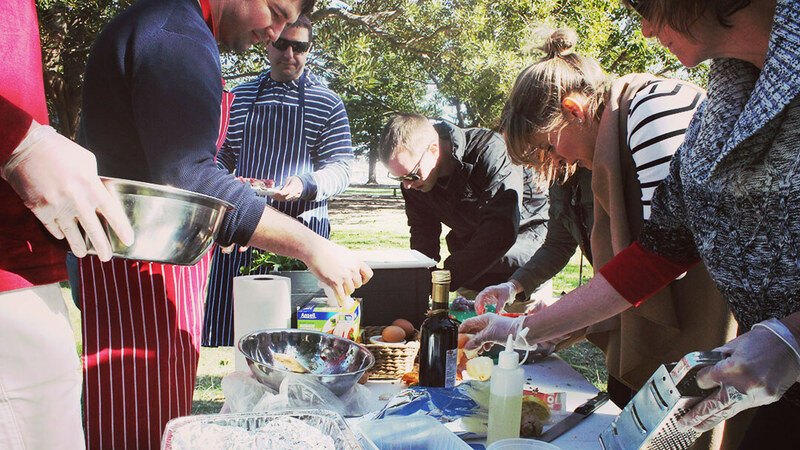 Add in a few wines, and some judge’s comments, and MasterChef in the Garden will be one of the most enjoyable team building activities your people will have ever participated in.. Guaranteed! 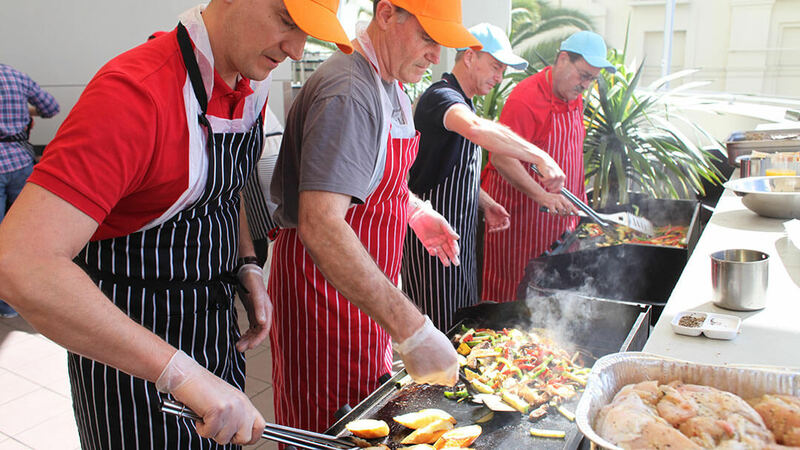 Call 1300 733 385 or enquire now for more information and find out how your next team building activity can be the best ever! Taking bookings now for team building Sydney, team building Melbourne, team building Brisbane and team building Perth!